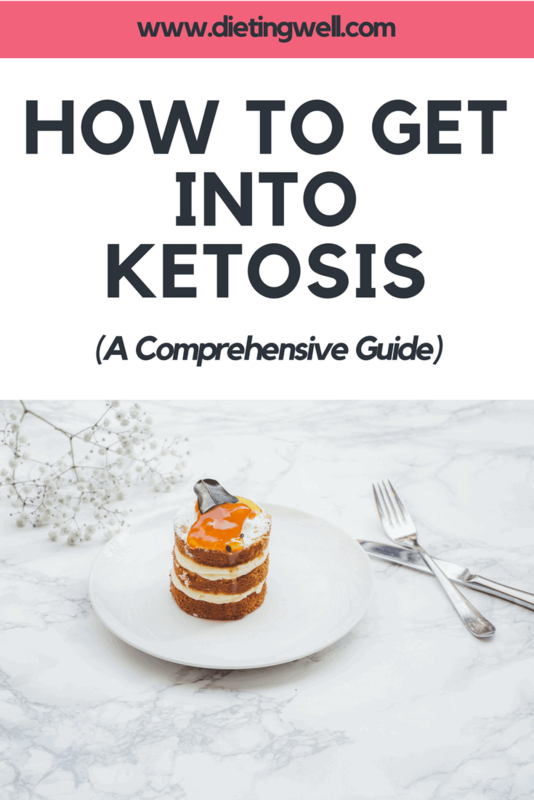 This is a detailed article about what you can do to get into ketosis fast. In recent years, an exciting development has been made in the world of dieting. It has been discovered that a natural metabolic state called ketosis is more than useful in dropping significant weight. Essentially, the state of ketosis is one where the body produces ketone bodies out of fat. It uses them for energy instead of carbs. Ketosis occurs when there is limited access to glucose in the body. Glucose, blood sugar, is the preferred source of fuel for many of the body’s cells. Ketosis occurs when you go on a highly carb-restricted diet. It also happens during a state of starvation. To achieve the state of ketosis, you typically need to restrict your diet to less than 50 grams of carbs daily. Sometimes, you may need to consume as little as 20 grams daily. This condition necessitates that you restrict certain types of food from your diet. It will mean that you must severely restrict simple carbs, like refined sugar, from your diet. Also on the list would be foods like grains and potatoes. If you consume few carbs, then your insulin levels go down. Body fat stores are released in large quantities. A lot of this fat is transferred to the liver. There it is oxidized and converted into ketones. The ketones can be used by the body for fuel. For further information on ketosis, consult this article. What all of this means for dieters is that, through the state of ketosis, a person can force their body into a condition where it will burn its fat stores. Obviously, this will help them lose body fat. The question becomes, though, how does a person achieve the state of ketosis? 1. Restrict your carbohydrate intake. – To reach optimal ketosis, you will need to consume 20 digestible grams of carbs per day or less. The quantity of fiber that you consume is not restricted. 2. Decrease your protein consumption. – You need to also be careful about the amount of protein that you consume. Your consumption of protein should be at a moderate level. Your target should be about one gram of protein per kilogram of body weight daily. What this means concretely is that if you weigh 70 kilos, then you should have no more than 70 grams of protein daily. The most typical problem that people encounter in achieving ketosis is the consumption of too much protein. 3. Increase your fat intake. – Fat is not restricted in the same way that protein is. The trick to achieving a sustainable diet is to satisfy yourself from fat intake. If you starve yourself, you will not be able to keep to your diet. Only sensible diets work. 4. Limit snacking. – If you are not hungry, then you should not snack. When you snack, it impedes your weight loss and reduces ketosis. The state of ketosis is not an all-or-nothing thing. The optimal state of ketosis, where fat burning is maximized, is measured at 1.5 to 3 mmol/L of ketones. The rate at which a person achieves ketosis varies from person to person. Each person has a unique metabolism. As well, people have varying resistance to insulin, and other biological issues pertain. Generally speaking, you can expect that you will achieve ketosis within a period of 2-10 days from the outset of your diet program. Some people have claimed that they have reached ketosis in a single day. Typically speaking, you will not achieve ketosis if you eat more than 30 grams of carbohydrate per day. Ccoconut oil can help you get into ketosis. Apparently, coconut oil contains fats called medium-chain triglycerides. These fats are rapidly absorbed and transported directly to the liver. There, they can be used directly for energy or converted into ketones. When you wish to add coconut oil to your diet, it’s good to do it slowly. This will diminish any digestive side effects, such as cramping or diarrhea. Being more active can help your body get into the state of ketosis. When you exercise, you deplete your body of its glycogen stores. If carb intake is minimized, these stores stay low. In reaction to this, the liver increases the production of ketones. You can actually achieve ketosis by fasting for several hours. Many people go into a mild state of ketosis between the time of dinner and breakfast. Intermittent fasting can be useful in achieving ketosis. Fat fasting can mimic the effects of fasting. To do this, you will eat about 1,000 calories daily. 85-90% of those calories will be from fat. It has been shown that a fat fast can help people lose weight. A fat fast can only be followed for a maximum of three to five days, however. Otherwise, there is a risk of losing muscle mass. People often say that they have bad breath when they go into full ketosis. Elevated ketone levels are responsible for acetone being present in your urine and breath. The bad breath usually goes away after you are on the diet for a while. Ketogenic diets are great for losing weight. Rapid weight loss can occur during your first week on the diet. You will experience a reduction in blood sugar levels and an increase in ketone levels. Many people on the diet say that they have decreased appetite. The reason for this is currently being investigated. Although people report some tiredness when they first start the diet, in the long term, ketogenic dieters often say that they have increased focus and energy. Ketones are a potent fuel source for the brain. Although some people get constipation and diarrhea in the beginning of the diet, these issues should subside in the long run. Although some people on the diet report insomnia at the outset of the diet, this should also subside in a few weeks. This article has given a simplified version of what ketosis and ketogenic diets are. 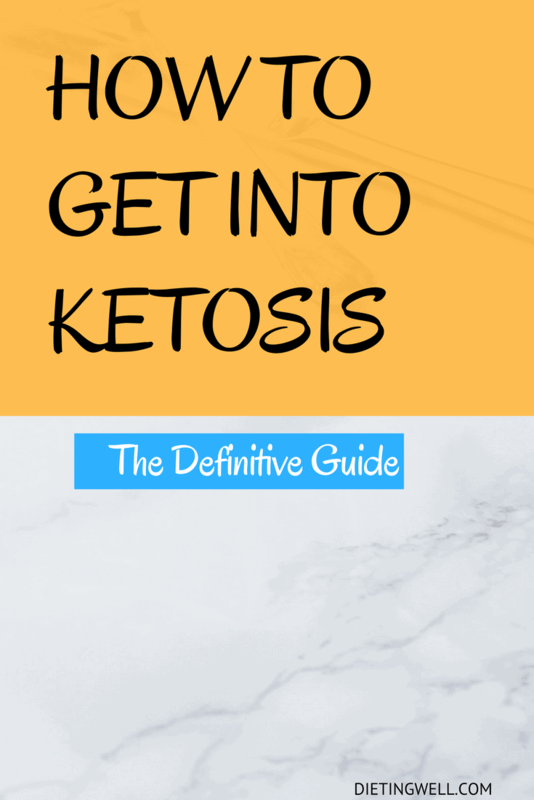 The biology that surrounds the state of ketosis is complicated, and more information is available on the internet about it. Essentially, the take-away lesson from this article is that you can safely lose weight by reducing your intake of carbohydrates and increasing your consumption of fat. This puts the body in a state where it will burn your fat stores. The ketogenic diet is easy to keep and allows you to be satiated from the foods that you eat. For this reason, it is a wise and sensible choice for the dieter. You should always consult your doctor before going on any diet to make sure that your plan is safe and effective. I am on my 3rd week of ketogenic eating and DAMN! It’s been difficult! BUT TODAY I seem to have turned a corner. No hunger no cravings and have lost 8lbs.. It IS a hard way of eating but I’m hoping for the long term benefits… More focus less fluid retention from sugar in my diet and of course the weight loss.. I’m planning on making this my life plan…so..we’ll see! Have just recently read about a ketone supplement one can take to get into ketosis rapidly and keep you in keto state even if you cheat??? Ungodly expensive and really what’s the point…? If your going to make a lifestyle change why spend hundreds of $ a month on something like that when you can do it naturally? Any Ketoers out their familiar with this?? Can you have a few grams of sugar from say coffee creamer or like a powdered peanut butter in your bulletproof coffee or will this just break your diet? I had a sever brain injury and prognosis was death & or terrible handicaps, but i survived. Im ok mentally but hardest thing to do is walk, I want to fall to the left all the time. Purchased ketones from a company called Pruvit and I could walk normally again, problem is the ketones are so expensive, $300 a month for what I needed. Is it possible to eat a ketogenic diet that will keep my body in ketosis? I’ve just started trying to get into ketosis and have been exercising and changed my diet with hopefully foods that are keto friendly such as broccoli, cheese, fish, salad’s, avacados???? Am I doing this right and the exercise program I am doing is High Intensity Interval Training…….. I’m trying to shed 30 pounds I’m only 166??? Anyone? What fats are acceptable to eat other than coconut oil? Can this work as a vegetarian? Yes it does. I am vegetarian. It’s easy. Just count your carbs. No bread no pasta no rice. You can eat mushrooms for protein but there are heaps of vegetarian foods out there full of protein. Keep up the green veges. Lots if them especially avocados. They are the good fat!